I consider myself to be a creative person. I draw, write, and create things for fun. I am not colorblind in the least, but I often wonder, "What makes a good color combo?" Why can't I add two of my favorite colors together and end up with something that looks great? Why do I think my outfit for the day looks okay when my wife says the colors don't match? Without diving deep into Color Theory 101, there IS a science behind what colors look good together. It's a subjective science, but a science nonetheless. That is why big companies have pleasant logos while small startups often have painful color combinations. The smaller companies have not hired an expensive designer who's studied and gained experience in mixing colors that play nice with each other. This is a consistent enough trend that you've probably observed the same. Red. Blue. Yellow. 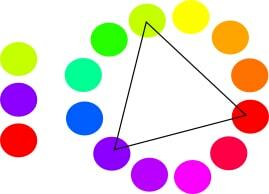 These are your base colors that are not themselves made up of different colors. Don't ask why. 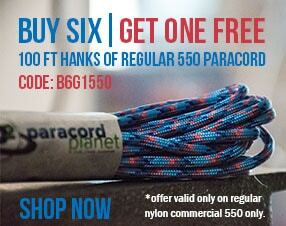 This isn't "Foundations of Design", this is blog about paracord. Orange. Green. Purple—er Violet. This is what happens when you mix any two of the three primary colors. Red-violet, blue-violet, blue-green, yellow-green, red-orange, and yellow-orange. This is one step lower on the mixing pyramid—er, wheel. 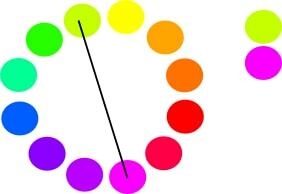 Colors opposite each other on the color wheel. Three colors equidistant from each other on the color wheel. 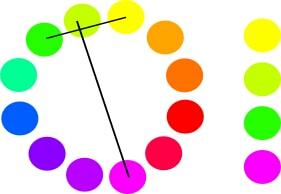 Four colors evenly spaced around the color wheel. Like complimentary, but instead of taking a color and it's opposite, take the color on either side of the opposite. To make a shade, add any amount of black. Think cold ocean/snow vs warm sunlight/beach. The world of color symbolism has many opinions and is highly dependent on culture. Colors mean different things to different people. Red could mean, love, hate, power, or violence depending on the cultural and individual context. Certain kinds of Camo can either represent hunting, or the military. Just like a good wine might not go with every food, colors can often run interference with each other. Have you ever seen one of those tricks where you look at a negative image for 30 seconds and then stare at a white wall? The positive colors show up! Try staring at the "x" in the picture below. While still looking at the x, notice what color takes the place of the disappearing green circles. This is why complimentary colors look so nice together. When you look at a blue object on an orange background, the blue object looks like its negative, which is orange, when your eye wanders over the orange background. The brightness of colors matter. This should be obvious, but so many times I have tried toning down bright yellow by shading it darker. Gray-yellow is never a good color, because yellow is naturally bright. Blue on the other hand, looks great when shaded darker. This is perhaps more applicable to other forms of art than paracord creating, but it was a "mind-blown" moment when I learned it, so I thought I'd share in case it helps anyone. Read more about the concept of natural color brightness here. Logos of your favorite brands or sports teams are a great place to look for colors that go well together. Branding is all about grabbing attention and conveying a value or mood, which is very similar to the goal of clothing/jewelry styles. Nature is another great place to look for color inspiration. Nature is filled with amazing combinations of subdued colors right alongside bright ones. Neutral tones with a bright highlight have become one of my favorite ways to mix colors. 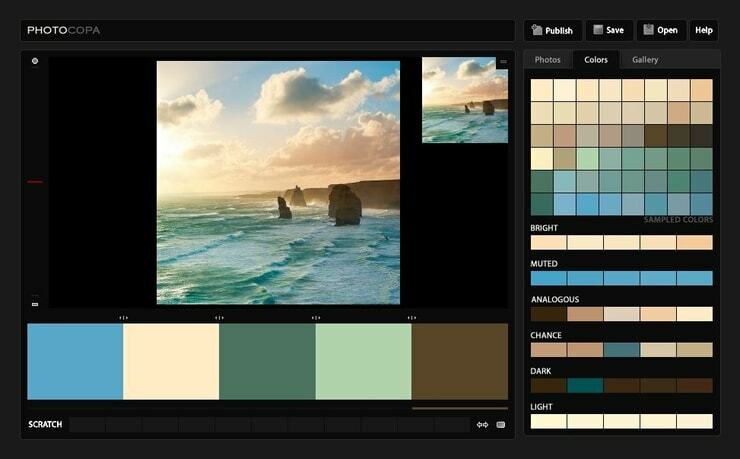 There are many websites that automatically pic colors out of an uploaded picture. Find (or take) a picture with colors you like and try it! 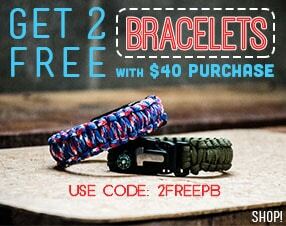 You may be thinking, "That's all well and good, but what about using patterns like camo in my paracord projects?" You now need to pay attention to each color in whatever patterns you are using. Not only can colors in patterns clash, but the patterns themselves can look not good with each other. To help you find colors and patterns that go well together, we have put together a variety of kits for making keychains or gun slings. Many of them come with matching buckles and hardware. Keep pattern use to a minimum. Patterns work best alone or paired with a similar solid color. Try using the same pattern in two matching colors. Patterns with bigger blotches of fewer colors are more versatile than patterns with 5 different colors in tiny speckles. 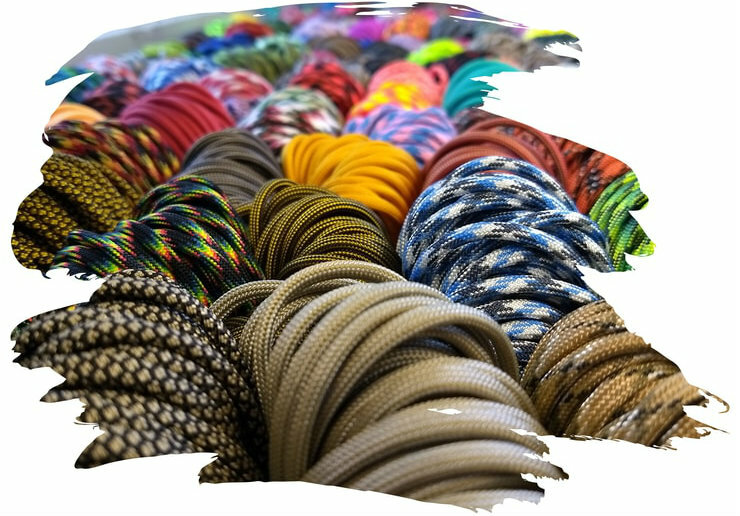 Hopefully, this information gives you some valuable tools for creating paracord creations with awesome colors. If you disagree with any of the information put forward, that's okay! You will likely find some color combos more appealing than others, because ultimately, beauty is in the eye of the beholder. Make what you think looks good! But maybe check with the wife before heading out the door in a striped shirt and paisley tie—unless your day job is being a clown. What are your favorite color combinations? Comment below for a chance to win 100 ft. of #325 paracord! Last Week Jesse won 100 ft. of #275!